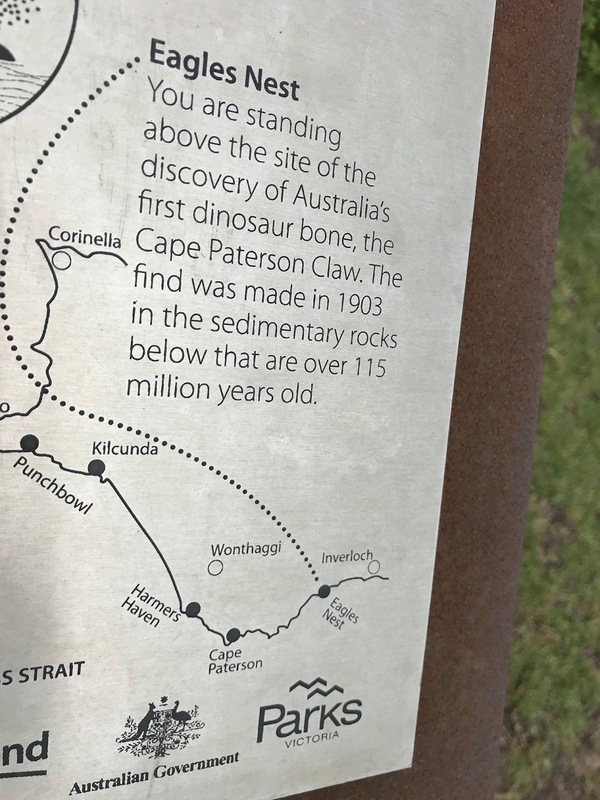 So exciting to be in dinosaur country (Bass Coast, south east of Melbourne)! 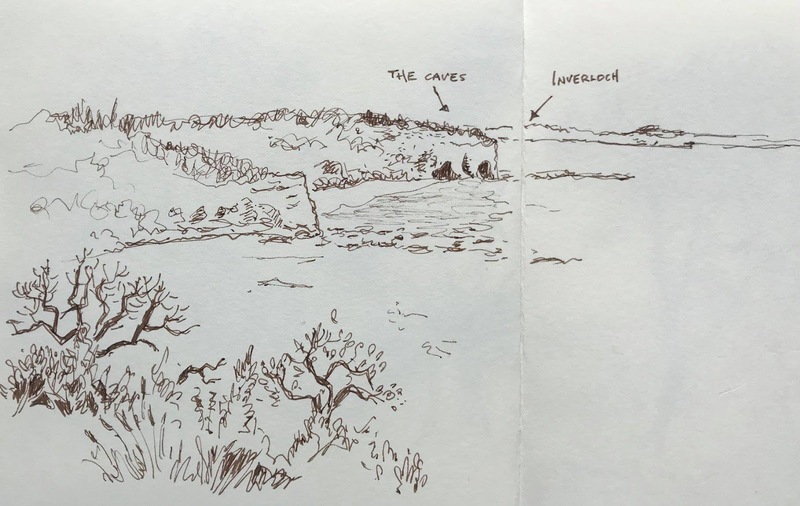 This is looking towards The Caves from Eagles Nest. 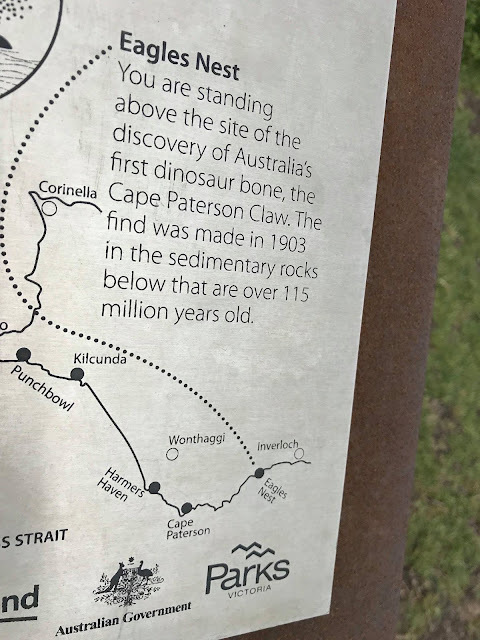 Eagles Nest is the site of the discovery of Australia's first dinosaur bone – The Cape Paterson Claw in 1903. 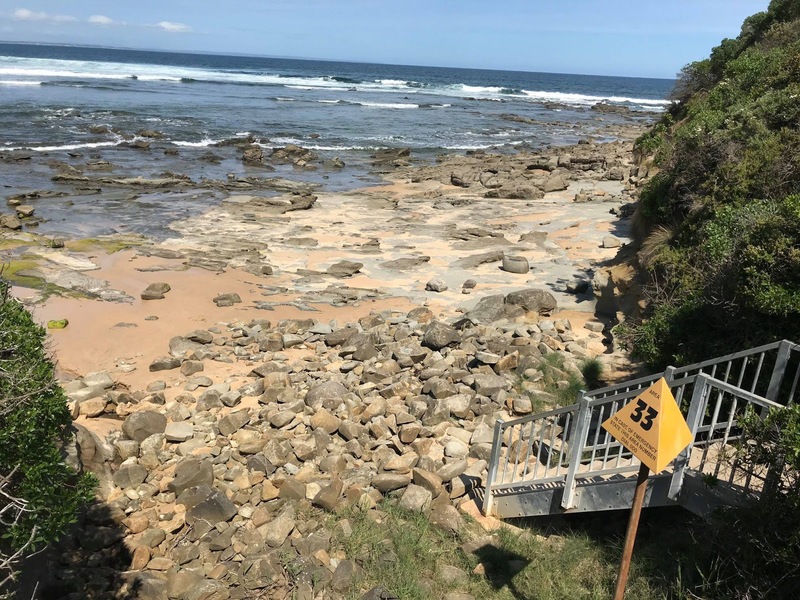 The dinosaur dig at The Caves is the most productive in Victoria. There is also a Theratops foot print in the rocks near the stairs at The Caves but we thought it too dangerous to climb over the numerous rocks to look for it.